After the fine weather for the Year 5/6 WBOP tennis championships, things couldn’t be more different for the Year 7/8 tournament the following day! Constant early morning drizzle meant the courts were very wet and start of play was delayed by more than hour. Both days produced some great tennis. 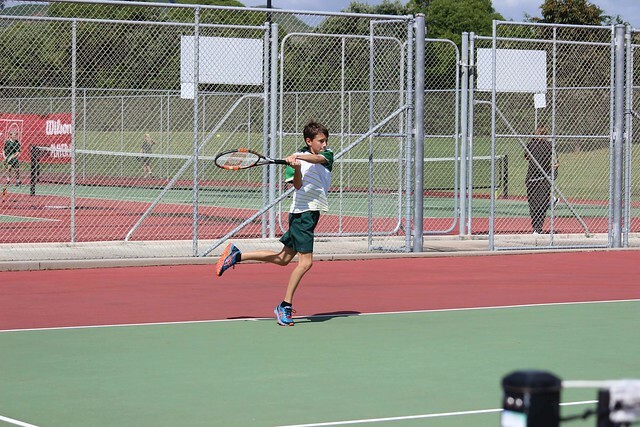 Each day was divided into two draws – the premium player draw for those interclub players looking to qualify for the BOP/ Waikato Tennis Championships and the social draw for players looking to improve their tennis skills. Top Year 5/6 school this year was Te Akau ki Papamoa, and Year 7/8 Tauranga Intermediate.